Millwall vs Brighton predictions for Sunday’s FA Cup quarter final at The Den. Millwall look to dispatch another top flight outfit when they face Brighton in the FA Cup quarter final. Read on for all our free predictions and betting tips. Millwall’s season isn’t going entirely to plan as they battle around in the depths of the Championship relegation battle, but the silver lining of that ominous cloud is most definitely their excellent showing in the FA Cup so far. They have beaten the likes of Hull, Everton, and Wimbledon to make it this far, and only Brighton sit between them and a trip out to Wembley. 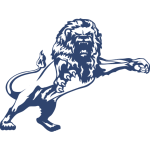 The Lions will be coming into this match with slightly improved morale after their midweek win over Birmingham put them a point clear of the relegation zone. However, their overall form is less than impressive. They have lost four of their last five competitive games and conceded 10 goals in the process. Their form isn’t much better at The Den either. Their last two outings there have both resulted in 3-1 losses in the league, and they are without a win in front of their own fans since that 3-2 win over Everton in January. Brighton may not be the most difficult of ties for them, but it certainly won’t be a walk in the park. The Seagulls have also enjoyed a bit of a confidence boost recently, beating Crystal Palace away from home last weekend to make it three wins from their last four competitive matches. They are edging away from the Premier League relegation battle now, and an FA Cup semi final appearance along with surviving in the top flight would be classed as a very successful season. Even Brighton’s usually shoddy away form has taken a turn for the better over the last few months. They have won three of their last six away games, including FA Cup ties with Bournemouth and West Brom. The other three in this period have ended in defeat, but even they had some promising notes to them. One of the major improvements has been their attacking output on the road. Brighton have scored 14 goals in their last seven trips away, netting at least two goals in five of these games. 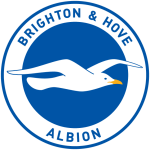 Now they face a Millwall side who have conceded two or more goals in four of their last six home matches, so we think backing a Brighton Over 1.5 Team Goals along with a 3-1 win for the Premier League outfit looks a good choice. We’re also backing Glenn Murray to find the net for the visitors. Brighton’s veteran talisman has scored five goals in his last four competitive away days, so he looks an excellent choice for our anytime goalscorer predictions.